University of Pittsburgh School of Medicine scientists and doctors are embarking on the first-ever clinical trial to determine if a genetic test they pioneered could successfully spare patients with nonaggressive thyroid cancer from complete removal of their thyroid, a butterfly-shaped gland in the neck that is important to hormone regulation and development. Such thyroid-preserving surgery minimizes surgical complications, and many patients also may avoid taking medication every day to keep thyroid hormone levels in check. 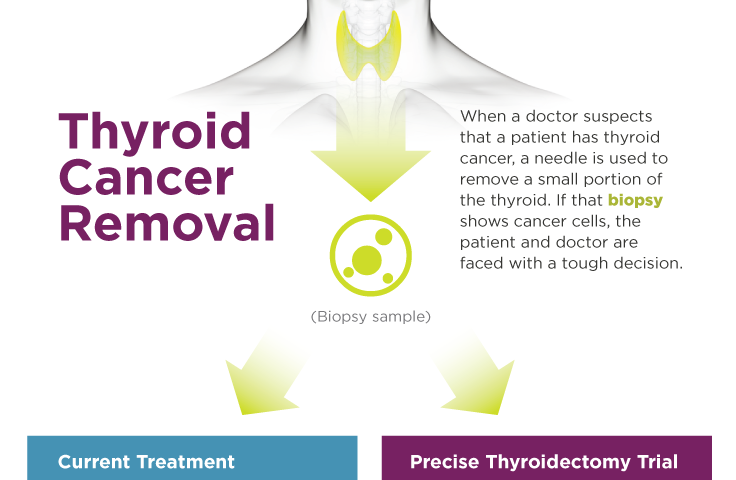 The two-year trial, which is entirely philanthropically funded by individual donors affected by thyroid cancer, will investigate whether the UPMC-developed molecular genetic test ThyroSeq can correctly differentiate between thyroid cancers most likely to spread and need complete removal of the thyroid gland, and those likely to be far less invasive, warranting a thyroid-preserving surgical approach. "We're looking at potentially saving patients from unnecessary surgery," said Linwah Yip, M.D., principal investigator of the trial. "Today we use the most recent developments in cancer genetics to guide treatment for many types of cancers such as breast and colon; we are hoping to safely apply the same approach to thyroid cancer. It's really exciting to be on the verge of tailoring the extent of thyroid surgery precisely to the aggressiveness of the cancer," added Yip, an associate professor of surgery in Pitt's Clinical and Translational Science Institute. About 56,870 cases of thyroid cancer are diagnosed in the U.S. every year, and about 2,010 people die of the disease, according to the American Cancer Society. Under current guidelines of the American Thyroid Association, when patients are diagnosed preoperatively with thyroid cancer, which means a small sample of their thyroid has cancerous cells, they can start by having just half of their thyroid removed. Often, this allows the remaining part of the thyroid to continue functioning naturally without long-term medication. However, a second thyroid operation can then be required if the removed cancer is an aggressive type. Alternatively, under the current guidelines, patients can skip the initial removal of half the thyroid and proceed straight to full removal, but they will definitely need medication for the rest of their lives. "When we get a biopsy result that is positive for cancer before surgery, there are not a lot of tools that we can use to decide with patients which surgery is best," said Sally E. Carty, M.D., professor of surgery and co-director of the UPMC/University of Pittsburgh Cancer Institute Multidisciplinary Thyroid Center (MTC). "It becomes an educated guess that also is informed by the patient's preference to either perform a partial removal of the gland and accept a potential repeat surgery if the cancer is found to be aggressive, or to remove the entire thyroid in the initial surgery." 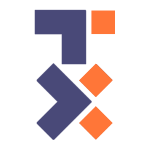 ThyroSeq is a genetic test developed by a scientific team lead by Yuri Nikiforov, M.D., Ph.D., director of UPMC's Division of Molecular and Genomic Pathology and co-director of the MTC. UPMC's latest version allows pathologists to simultaneously test 14 genes for 42 markers of thyroid cancer using just a few cells collected during the initial biopsy. The test has performed well at differentiating between cancerous and noncancerous thyroid nodules, already sparing patients from unnecessary surgeries. Over the next two years, Yip and her colleagues plan to enroll about 100 patients who are newly diagnosed with thyroid cancer. Each participant's biopsy sample will be tested with ThyroSeq to determine whether the cancer has an aggressive or nonaggressive genetic signature. The patients and their doctors can then use that knowledge to decide whether to remove half or the entire thyroid. In addition, the clinical trial also will evaluate the quality-of-life parameters associated with complete removal of the thyroid gland. "I'm particularly passionate about this part of the trial because it will help us to know whether all of our efforts to preserve the thyroid are worth it," said Yip. "We all want to make sure that patients' quality of life is considered to truly provide personalized surgical and cancer treatment recommendations." This trial can be found on ClinicalTrials.gov with the identifier NCT02947035.